There are no formal requirements to comply with before you can take the QLTS assessments. You can simply contact the assessment provider and register to sit the assessments. The SRA has removed the requirement to obtain a Certificate of Eligibility prior to taking the assessments in order to simplify the qualification process, avoid excessive bureaucracy, and reduce regulatory burden for candidates seeking to dual-qualify as English solicitors. You do not need to acquire any legal experience or undergo any training before taking the QLTS assessments or prior to applying for admission to the SRA. You are not required to take any English language test either, but you should ensure your standard of written, reading, spoken, and listening English is at the appropriate level. Although you are not required to follow any formal steps in order to become eligible to complete the assessments, we strongly recommend that you ensure you are, potentially, eligible to become a solicitor via the QLTS route, before you start the process. If your country of qualification and professional title appear on the list below, you are considered as a Qualified Lawyer in a Recognised Jurisdiction for the purpose of the QLTS. If your jurisdiction does not appear on this list, you are not currently eligible to apply. You must contact your home bar association or law society to ask them to apply to the SRA for recognition. The eligibility check will be made at the point you apply to the SRA for admission—and will not be a retrospective check (i.e., you don’t have to be a qualified lawyer at the time you sit the assessments). 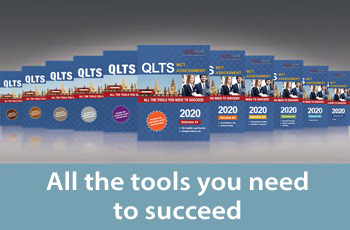 After completion of the QLTS assessments you will have to provide evidence at the point of admission that you are fully qualified and hold the relevant professional title within your recognised jurisdiction. You will also need to satisfy the SRA as to your character and suitability to be a solicitor before the SRA admits you to the Roll of Solicitors. If you have any doubts (or criminal record, disciplinary actions or other issues related to your background), you can contact the SRA for an early check and voluntarily request your character and suitability be assessed prior to sitting the assessments. Lawyers qualified in any of the European Union (EU) Members States, European Economic Area (EEA) countries, as well as Intra-UK and Swiss lawyers may apply to the SRA for exemption from assessment (a fee of £400 is payable to the SRA with the application). If you are an EU, EEA or Swiss national who is partially qualified in another EU/EEA country also known as a Morgenbesser applicant, you can apply for exemptions through the SRA Equivalent Means route (a fee of £600 applies). Lawyers qualified in other countries cannot get any exemptions from the SRA. The SRA has appointed a sole assessment organisation to administer the assessments—Kaplan QLTS. You can contact Kaplan to register and book your place on an assessment at any time of the year. There will no longer be any restriction on the number of permitted assessment attempts or the time period within which the different elements of the assessment must be passed. Any exemptions granted by the SRA under your Certificate of Eligibility will remain valid. The SRA will not refund fees for Certificates of Eligibility already issued. You have an on-going obligation to meet the requirements of the SRA Suitability Test. If you have passed the MCT but have failed the QLTS assessment as a whole your MCT pass will be “banked” and you will be allowed to recommence the QLTS assessment by taking the OSCE. You will not be required to retake the MCT. If you do not have a Certificate of Eligibility, you can simply sign up with the assessment provider to sit the assessments.